Bose accused of collecting customers' data through its headphones | What Hi-Fi? According to a lawsuit filed in the US, Bose used headphones and the Bose Connect app to collect data on customers' listening habits. Bose has been accused of collecting customers' listening data using its headphones and selling it on to third-parties without users' knowledge. 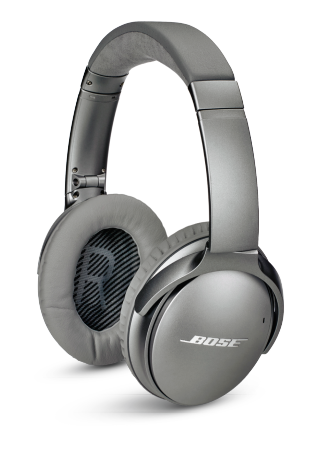 The complaint - via Fortune - accuses Bose of violating the WireTap Act as well as privacy laws. It claims that Bose created detailed profiles of users' listening habits and shared them with marketing companies, such as San Francisco-based Segment. "One's personal audio selections - including music, radio broadcast, podcast and lecture choices - provide an incredible amount of insight into his or her personality, behaviour, political views and personal identity," it reads. The data was allegedly collected using the Bose Connect app. This can be used with Bose products including the QuietComfort 35, SoundSport Wireless, SoundSport Pulse, QuietControl 30, SoundLink Around-Ear Wireless Headphones II and SoundLink Colour II. These models don't require the Bose Connect app to work, but it does give the user more options, including seeing how much battery the headphones have left. The lawsuit was filed in Chicago on Tuesday and is worth more than $5m. Its lead plaintiff, Kyle Zak, is seeking to represent fellow headphone users over allegations of illegal data mining.